24 Preludes and Fugues, Op. 87 by Dmitri Shostakovich is a set of 24 preludes and fugues for solo piano, one in each of the major and minor keys of the chromatic scale. The cycle was composed in 1950 and 1951 while Shostakovich was in Moscow and premiered by pianist Tatiana Nikolayeva in Leningrad in December 1952; it was published the same year. The complete work takes about two and a half hours to play. It is one of several examples of music written in all major and/or minor keys. Each piece is in two parts—a prelude and a fugue—varying in pace, length and complexity (for example, Fugue No. 13 in F♯ major is in five voices, while Fugue No. 9 in E major is in only two voices). J.S. Bach's The Well-Tempered Clavier, an earlier set of 48 preludes and fugues, is widely held to be the direct inspiration for Shostakovich's cycle, largely based on the work's composition history (see below). References to and quotations from Bach's cycle appear throughout the work. For example, Shostakovich begins his C major prelude, the first piece in the cycle, with exactly the same notes that Bach uses in his own C major prelude, BWV 846, which likewise begins The Well-Tempered Clavier. Likewise, the composers' second fugues (A minor for Shostakovich, C minor for Bach) utilize very similar opening rhythms for their fugue subjects (two 16th notes followed by 3 eighth notes, twice in a row). In addition to more direct quotation, Shostakovich also at points imitates the various types of preludes found in the Bach cycle (and in other, similar, Baroque compositions). For example, his A minor prelude is a figuration prelude—a prelude in which the same hand position is used throughout the piece. Examples of this abound in Baroque keyboard literature from composers such as Johann Caspar Ferdinand Fischer, from whom Bach drew inspiration for his own figuration preludes (the C major and the D minor, for example). On a larger scale, the whole structure, ordered and sequenced as it is with no apparent extra-musical narrative, is largely a response to Bach. 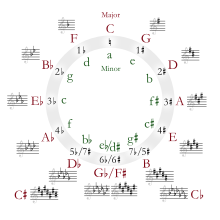 It is important to note, however, that in Bach's cycle the pieces are arranged in parallel major/minor pairs ascending the chromatic scale (C major, C minor, C♯ major, C♯ minor etc. ), which differs from Shostakovich's Op. 87. There are also several references and musical ideas taken from Shostakovich's own work. After the Second World War, Dmitri Shostakovich was Russia's most prominent composer. Although out of favour with the Soviet Communist Party, he was still sent abroad as a cultural ambassador. One such trip was to Leipzig in 1950 for a music festival marking the bicentennial of J. S. Bach's death. As part of the festival, Shostakovich was asked to sit on the judging panel for the first International Johann Sebastian Bach Competition. One of the entrants in the competition was the 26-year-old Tatiana Nikolayeva from Moscow. Though not required by competition regulations, she had come prepared to play any of the 48 preludes and fugues of The Well-Tempered Clavier on request. She won the gold medal. Inspired by the competition and impressed by Nikolayeva's playing, Shostakovich returned to Moscow and started composing his own cycle of 24 preludes and fugues. Shostakovich worked fairly quickly, taking only three days on average to write each piece. As each was completed, he would ask Nikolayeva to come and visit him in his Moscow apartment where he would play her the latest piece. The complete work was written between 10 October 1950 and 25 February 1951. Once finished, Shostakovich dedicated the work to Nikolayeva, who undertook the public premiere in Leningrad on 23 December 1952. Shostakovich wrote out all the pieces without many corrections except the B♭ minor prelude, with which he was dissatisfied and replaced what he had begun initially. 1 C major In unbroken chords and a haunting melody Shostakovich nevertheless evokes the immortal first Prelude of the 48. The tone is wistful, mostly pianissimo and the harmonic language is very much Shostakovich's own. The tone continues in the Fugue; whereas Bach begins with a scaled 4th, Shostakovich has a bleak bare 5th. In contrast to the characteristic harmonic complexity of the prelude, the fugue is written in the purest C major, without a single accidental. 2 A minor The prelude is a toccata mostly for one voice, with semiquavers (16th notes) running through in the style of a perpetuum mobile. It is followed by a three-part fugue with a characteristic theme of sevenths and acciaccaturas. 8 time, although this meter is also shared by the F♯ major prelude. 4 E minor The prelude begins with an eighth-note appoggiatura figuration phrased in pairs between a sustained cantus firmus in the bass and a lyrical melody in the soprano. There is a consistent legato/half-staccato phrasing throughout the prelude in which Shostakovich attempts to imitate Baroque period phrasing. Following the prelude, Shostakovich proceeds directly to the fugue without pause. The fugue is a double fugue in four voices with two distinct subjects developed in separate expositions. The first subject is a slow stepwise melody consisting mostly of half notes and quarter notes, while the second subject is a partial diminution or variation on the first subject (eighth notes instead of quarter notes). About two-thirds into the fugue, Shostakovich brings back the original subject in the bass combined with the second subject in the soprano. The E minor fugue is one of progressive complexity. The composition begins rather humbly with a quiet, conservative exposition, but it ends triumphantly with nearly every possible fugal device (invertible counterpoint, stretto, double stretto, diminution, augmentation, retrograde) exploited in the final bars. 5 D major The prelude maintains a suspended feel through repeated, arpeggiated chords in the right hand played to accompany a simple melody first in the left hand, then swapping roles midway. The phrasing is very expressive with sudden ritenutos scattered throughout. The fugue, marked allegretto, contrasts beautifully with the legato feel of the prelude with repeated staccato notes forming the basis of the fugal subject. Three voices develop with contrasting legato passages against the staccato. To further add to the quaint color of the movement, subito forte and piano are mixed in giving the fugue a frankly chipper tone. 6 B minor Beginning much like a French overture (dotted rhythms) this prelude remains very tonal throughout. The bass plays has much of the melodic content – again a device used by Bach in his 48 preludes and fugues. The following fugue starts with a short introduction. It then continues in a gentle weaving fashion (much like the C♯ minor fugue from Book I of Bach's 48). Much of the piece uses a counter melody against the fugal entries. 7 A major The A major prelude is a two-part invention that begins with a tonic pedal and a cheerful, delicate motif that almost could have come from Bach’s quill. Amazingly, the fugue contains no vertical dissonances whatsoever, instead creating harmonic motion by sporadically touching on unrelated keys such as B♭ major, D♭ major, and C major. The three-voice fugue begins with a statement of the main theme, or subject, in the soprano voice. While fugal subjects usually use stepwise motion, this subject uses only the notes of the A-major triad. This subject is then stated a fourth below in the alto, as would be expected in a Baroque fugue. After a brief interplay between the soprano and alto, the bass is introduced with a statement of the subject, completing the exposition. The modulatory section begins in the minor key; a brief return to the tonic key provides a breath of calm before an increasingly frenzied series of modulations. These lead to a climax in A major, signalled by a dominant pedal, but this lasts just four bars before the music plunges into C major. The music then settles down, gently leading to the recapitulation, where a single statement of the subject in the tonic key brings the piece to a close. This fugue stands out from the rest of the set because it contains no dissonances. 8 F♯ minor A short piece, very agitated in nature. Staccato and chromatics add to the chilling nature of the melody. 9 E major The prelude is written on three staves where left and right hands take turns playing on the center staff. The piece with few exceptions consists of unison quindicesima melodies beginning first in the lowest tessitura of the piano then the highest. Mixed meters riddle the contour of the simple melodies, and toward the middle, an alto voice of accompanying chords provides diversity to the unisonal melody. 4 time is a frantic scurry with fast notes and staccato markings. Only two voices develop with increasing stretto in the middle culminating at the end when the two voices join in unison as before in the prelude though only with an octave separation. 10 C♯ minor The prelude starts softly and quite simply, marked by the indication semplice. This piece has a clearly defined homophonic texture, with the right hand dominating the melody. However, soon the left hand takes over the melody and the piece becomes more dramatic. This leads to a small climax and then fades into a very quiet section in B♭ minor. The main melody then returns, accompanied by a sustained trill in the top voice. The piece then concludes with a few more restatements of the theme. 4 is a rhythmically adventurous and complex composition that works as a culmination of the first part of the entire cycle. 13 F♯ major A fugue in five voices. 14 E♭ minor Octave tremolos feature prominently in the prelude. The fugue is free-flowing with remarkably few dissonances, contrasting with the tense prelude. 15 D♭ major The prelude is a brusque waltz typical of Shostakovich. The opening theme resembles "We Wish You a Merry Christmas". The date of the composition (20 December) may explain this. The vivace fugue is a tour de force of chromatic and atonal writing. The subject contains 11 of the 12 semitones available. 21 B♭ major In the prelude, the right hand has an uninterrupted stream of sixteenth notes, set against quarter and eighth notes in the left hand. The fugue is lively, marked allegro non troppo. 24 D minor This long double fugue shares a key signature and several features with the last fugue from Bach's The Art of Fugue. The first subject (hinted at in the prelude) is introduced quietly, but the fugue speeds up when the second subject is introduced, and forceful final notes conclude the piece. Before premiering the work, Shostakovich privately performed the first half of the cycle before the Union of Composers (as was typical with new compositions during the Soviet Era) on 31 March 1951. The panel expressed great displeasure at the dissonance in some of the fugues. They also objected to the fugue in Soviet music because it was considered too Western and archaic. This work is considered by many (e.g. music critic Alex Ross, musicologist Tanya Ursova, etc.) to be produced by the "other Shostakovich," or as a composition "for the desk drawer." According to Ross, the composer used chamber forms in the period to channel his most personal compositions, those that would not be suitable for use or approval by the Soviet government. This work is included in that group along with several string quartets. Shostakovich recorded 18 of the 24 pieces at five recording sessions in 1951–1952, 1956 and 1958 (EMI). He never recorded Nos. 9, 10, 11, 15, 19 or 21 but he recorded Nos. 1, 4, 5, 6, 13, 14, 18, 23 and 24 twice by doing the recording for EMI. Tatiana Nikolayeva recorded complete sets four times, in 1962, 1987 (both originally issued by Melodiya), 1990 (Hyperion Records) and in 1992 as a filmed performance (Medici Arts). The 1962 and 1987 recordings have been reissued on several labels. She also recorded Nos. 1, 7 and 15 in 1952–1953. Notable complete recordings have been made by Roger Woodward (1975), Keith Jarrett (ECM Records 1991), Vladimir Ashkenazy (Decca Records 1996–1998) and Konstantin Scherbakov (Naxos Records 1999). Sviatoslav Richter never played all the pieces in concerts but made notable recordings of 15 numbers. Canadian pianist David Jalbert also recorded the piece for ATMA Classique in 2008. ^ "Info on Nikolayeva's Shostakovich 24 Preludes & Fugues recordings". Retrieved 6 April 2015. ^ "Sviatoslav Richter Discography". Retrieved 6 April 2015. Ledbetter, David (2002). Bach's Well-Tempered Clavier: the 48 preludes and fugues. Yale University Press. ISBN 0-300-09707-7. Mazullo, Mark (2010). Shostakovich's Preludes and Fugues: Contexts, Style, Performance. Yale University Press. ISBN 978-0-300-14943-2. Ross, Alex (2008). The Rest Is Noise. Picador. ISBN 978-0-312-42771-9. Plutalov, Denis (2010). Dmitry Shostakovich's Twenty-Four Preludes and Fugues, op. 87: An analysis and critical evaluation of the printed edition based on the composer's recorded performance (Ph.D.). University of Nebraska. Ursova, Tanya (January 2005). "Shostakovich's 24 Preludes and Fugues, Op. 87: Subtexts in Context". DSCH Journal. 22.